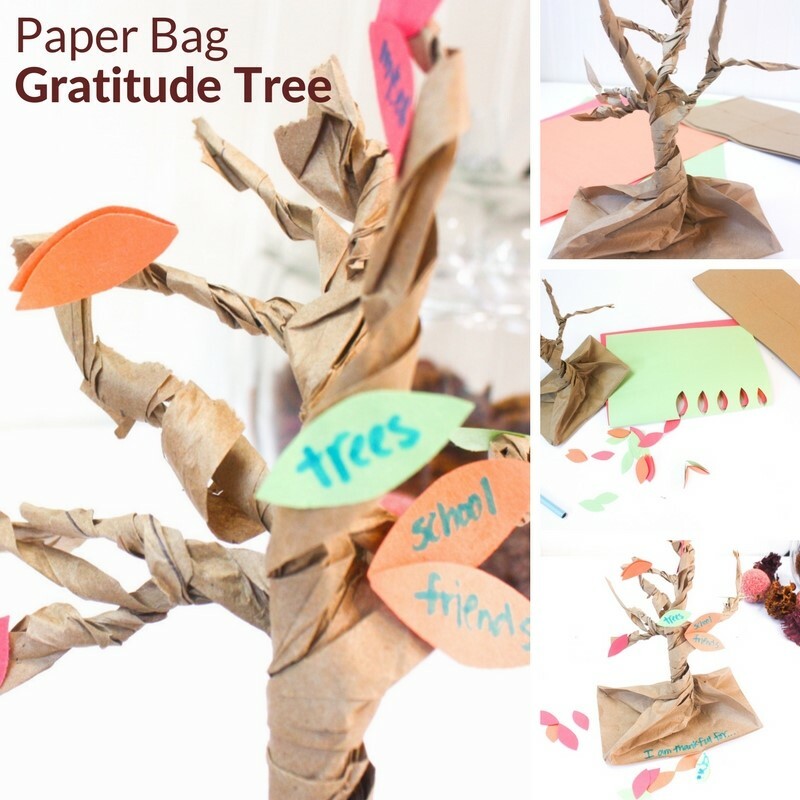 There are many ways to teach gratitude to kids, from reading books, doing projects like this paper bag gratitude tree, or simply talking about it. 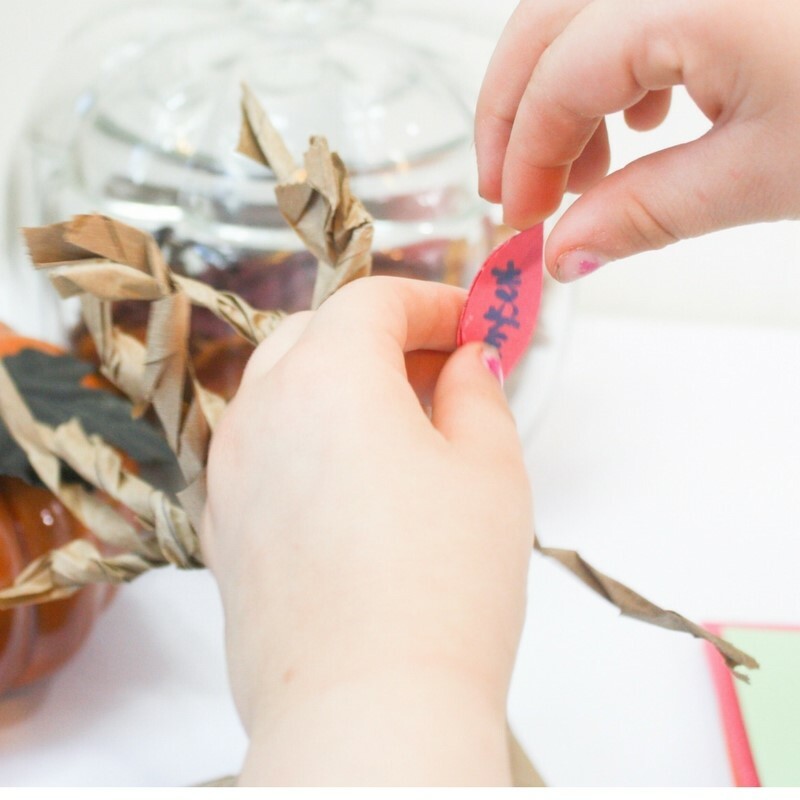 With time, kids will begin to talk about being thankful on their own, not only for material objects but also for the people and experiences in their lives. Talking about gratitude and thankfulness with kids is an important role for parents and educators. 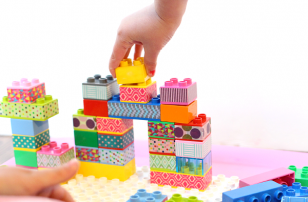 For young children, it can be difficult to understand. 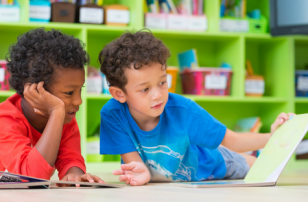 But, in making gratitude a part of your daily conversation in even small ways, we help kids develop empathy and a sensitivity towards others. These traits we can all agree are incredibly important. 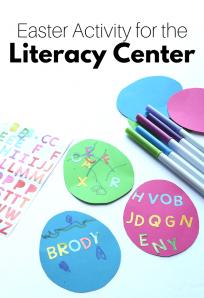 This is such a fun activity for kids, as it develops fine motor skills and scissor skills all while focusing on gratitude. 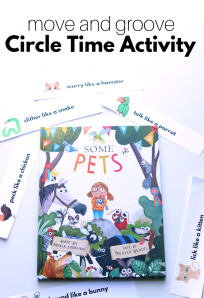 Young children will need some help with cutting and twisting the branches of the tree as they develop their motor skills. 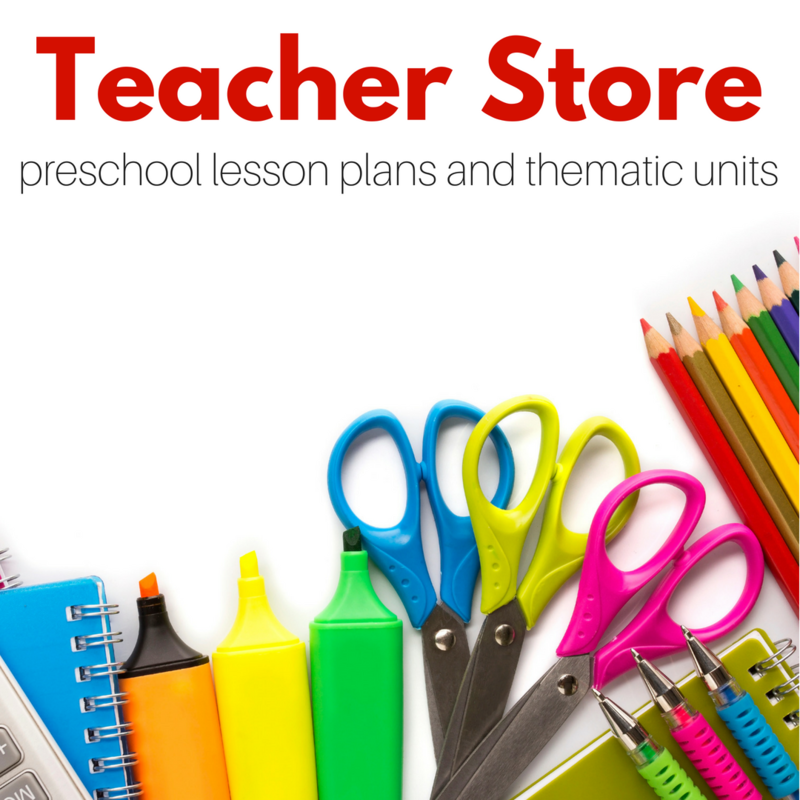 Older preschoolers will be able to make the trees largely on their own. 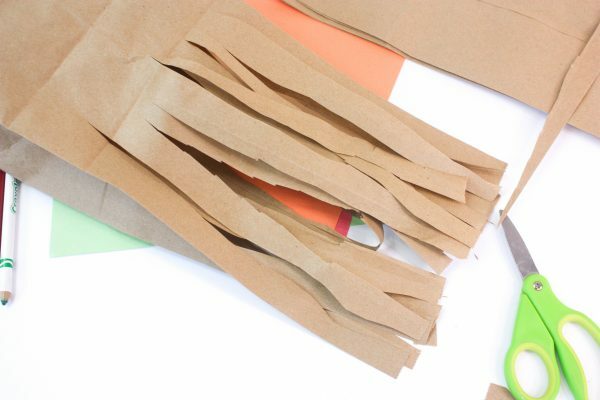 Draw lines on the paper bag from the opening of the bags down to the bottom section. This makes a simple template for cutting the bags into strips. 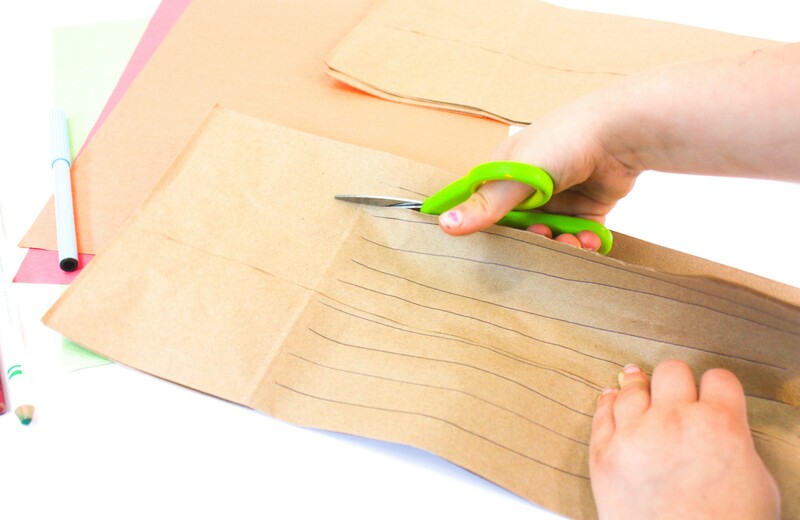 Once all of the lines are cut, then stand the bag up. 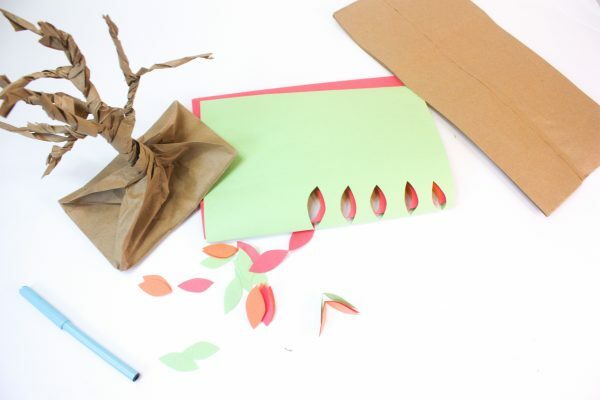 Begin to twist all of the cut strips together to create a tree trunk. After a trunk has been twisted, take smaller sections of the strips to twist together to create branches. 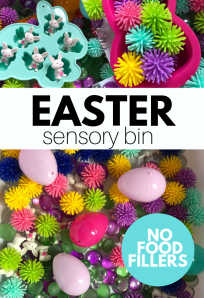 This is such a great fine motor workout for little hands! 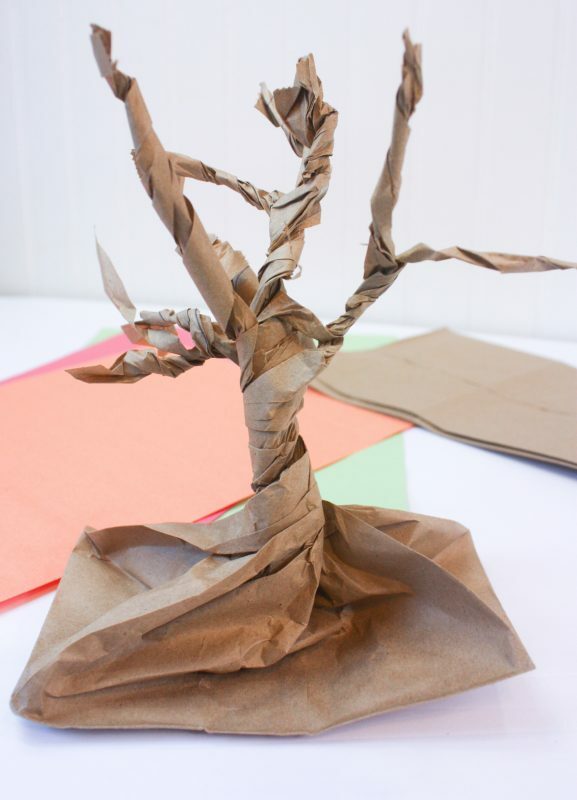 No two trees will look alike, providing the chance for creativity and imagination as kids construct their interpretations of trees. Once the paper bag tree is complete, it”™s time to add some leaves of gratitude! 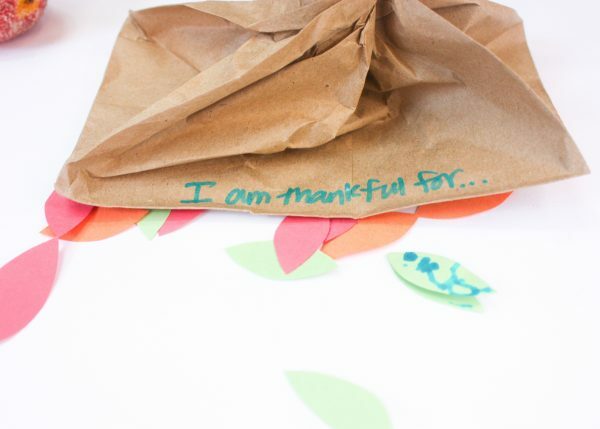 Cut some leaf shapes out of construction paper for kids to use as their gratitude notes. For children who can write, they can add what they are thankful for to the leaves. Otherwise, you can simply ask them and record what they say. 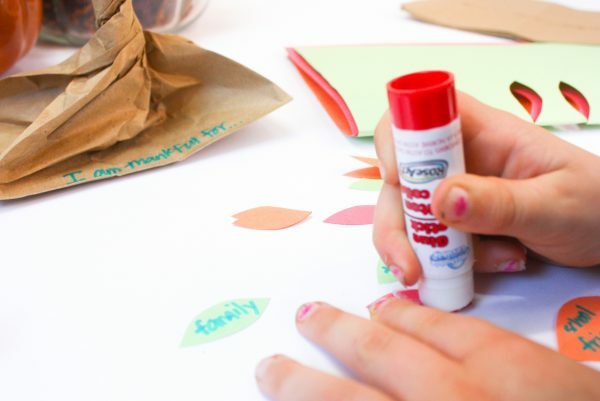 Kids can add glue to the back of their gratitude leaves and paste them onto the branches or their paper bag tree. 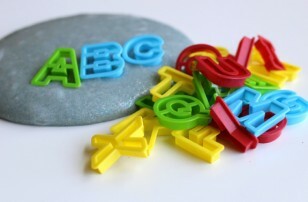 These become great decorations for the classroom or home that kids can add to and read as time goes on. 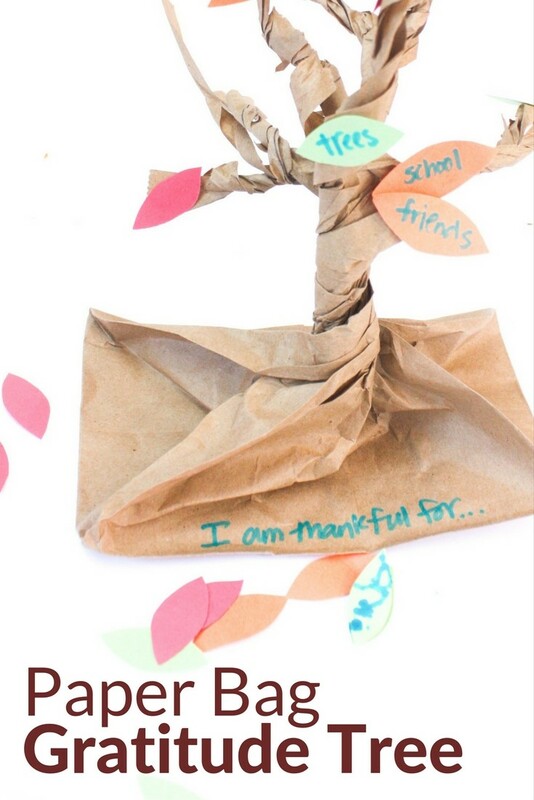 Enjoy making these paper bag gratitude trees with kids!